Here are some signs your parent may be ready for in home care. 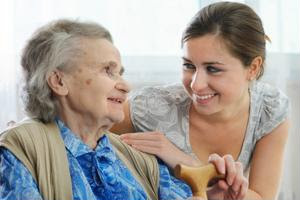 Is your elderly parent ready for in home care? There are several health signs to look for when determining whether it's time for home care. If your parent has a chronic physical or mental condition, has had several health emergencies in the past year or is struggling to recover from one recent medical issue, it may be time for senior care services. It also may be time if he or she is on several medications, has difficulty walking or is noticeably becoming more frail. Also, look for more personal age-related signs that it may be time for assisted living, including needing help with activities of daily living such as dressing, bathing and meal preparation. If your parent is isolated, doesn't often leave the house and doesn't keep in touch with friends or relatives, he or she may benefit from companion care. If your parent is struggling to maintain his or her home, he or she may need some assistance. Keep an eye out for signs like clutter, unopened piles of mail and dirty kitchen and bathroom surfaces.